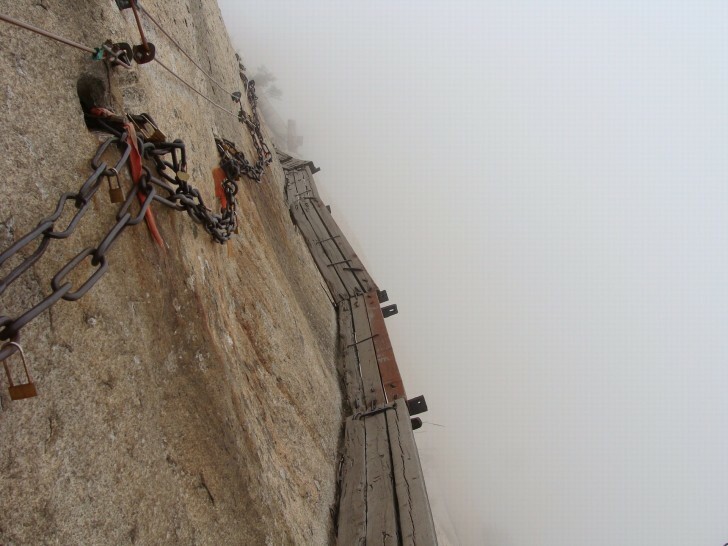 Huashan Mountain in the Shaanxi province rises 2 km. 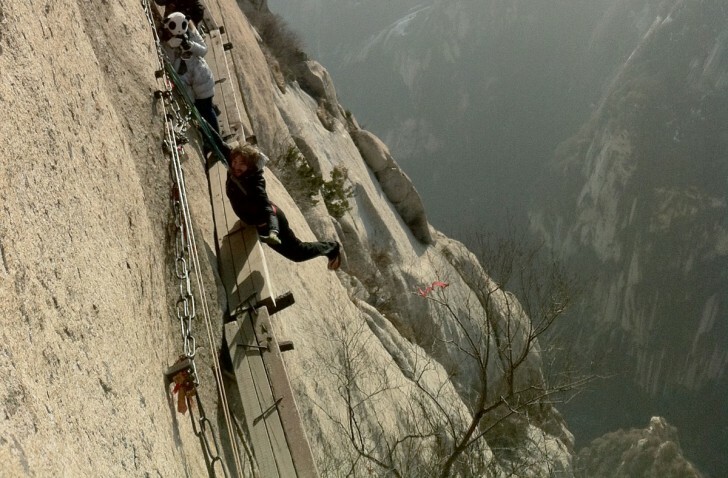 Steep limestone slopes overgrown with cedar excluded any possibility of carrying on Huashan for a long time. This hiking trail is a real nightmare - narrow (about 60 cm) wooden trail encircled the entire mountain. In some places, travelers can "enjoy" the possibility of a fall from 915 m. Accidents on the mountain no one believed, but apparently it was enough to give her the nickname "Mountain of Death".